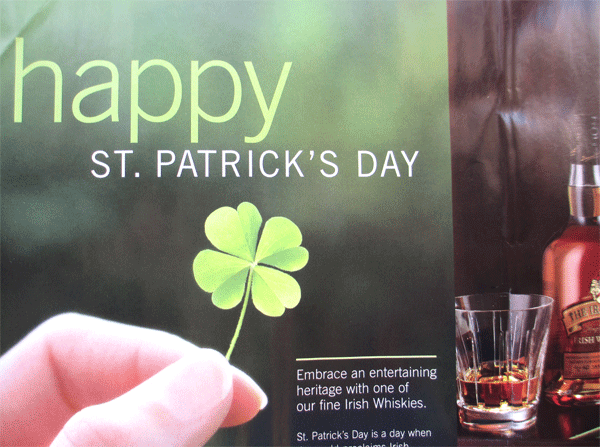 We all screw-up, but you’d think that someone working on the Vintages catalog would know that a shamrock has three leaves, not four. In Ireland you could get into a lot of trouble confusing clover with shamrock. 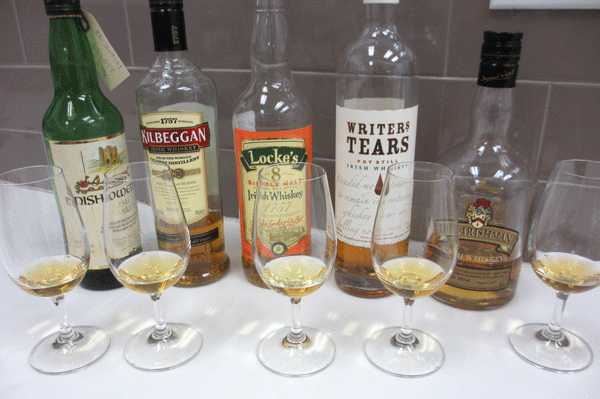 Irish Whiskey could be likened to Scotch without the obvious peat and strong maritime influences. There is more expression of the barley and other warm feelings. Dare I say it’s easy to like – something that never appealed to me. But the past decade has seen a rise in premium brands – something worth drinking. What you may not know is that the dozen or so premium brands available today are mainly revivals, or new creations. At the end of the 1900’s whiskey making in Ireland took a beating from English taxation and more recently from the take-over and closure by the multi-nationals. The whiskeys featured below are either new, or are reborn names of long gone distilleries. Irish Whiskey seems to be on a roll and I foresee lots of growth now that rock divas Rihanna and Lady Gaga are publically touting the stuff. What’s the difference between a $34 bottle of Jameson and the $54 Locke’s? Think of the former as an easy drinking, slightly sweet $12 Chardonnay, and the latter as a more concentrated, more interesting, drier tasting $32 Chardonnay. One is straight ahead pleasure, the other is an experience. The following are some Irish experiences you might like to indulge in on shamrock week. P.S. Green Spot is not in the current Vintages catalog, but is available. It’s a special blend produced for Dublin wine Merchants, Mitchell & Sons. GREEN SPOT, Mitchell & Sons 699827 $84.95 . . . toasty, rich and enduring. Shades of a mature White Burgundy.